Pork farmers: Stay away from our pigs! Gordon Lockie looks overs hogs he is raising in Elma, Iowa. 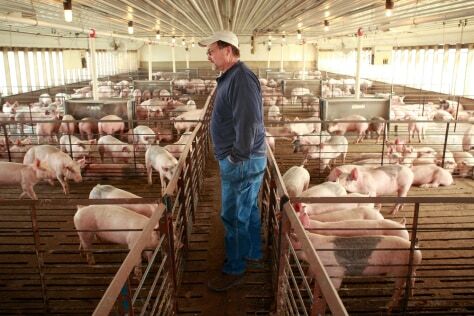 Hog farmers who have been battered by rising feed prices are now faced with plummeting hog prices driven in part by misconceptions about the relationship of swine flu to eating pork.